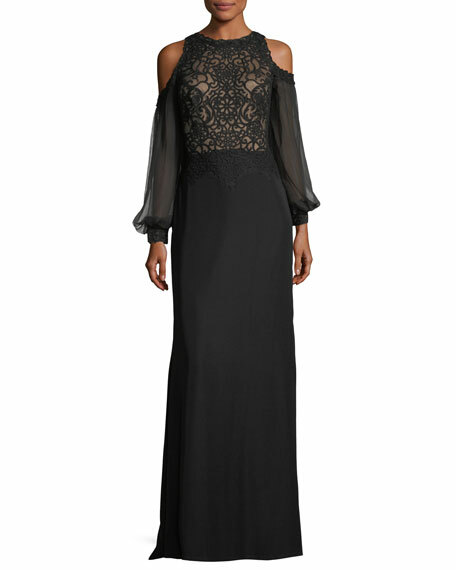 Tadashi Shoji lace combo gown. 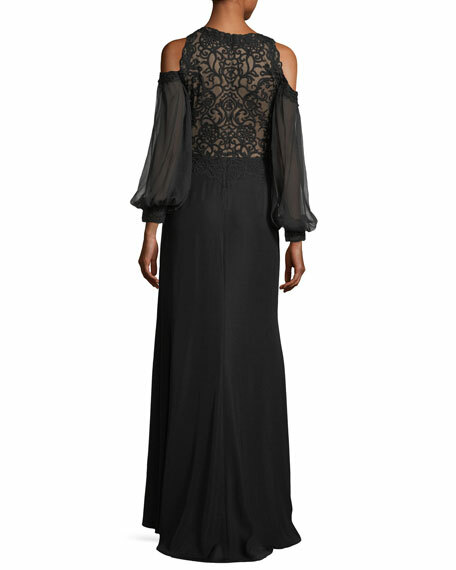 Sheer long sleeves; cold shoulders. For in-store inquiries, use sku #2441827.